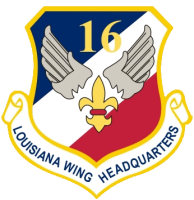 With the support of the 2nd Bomb Wing Commander, there has been a new policy implemented that will ease the strain on Base entry for those semiors participating in our Louisiana Wing Encampment or "Officail" CAP events/activities. Here is an excerpt of the new Base policy. except for meetings, training, and uniform items. minors. Cadets eighteen years of age and older require pre-screening, DBIDS, or visitors’ passes. NOTE: YOU MUST HAVE A CURRENT CAPID WITH YOUR PICTURE AND A GOVERNMENT ISSUES ID CARD SUCH AS A DRIVERS LICENSE. Refer to the Encampment email documents. • Select "ADD” for a new registration. • Complete the information items requested. • PRINT & Mail the parental consent and unit approval forms to LAWG headquarters. Note: mailing address is listed on the paper form. with the mailed approvals packet. where to drop off Cadets: Camp Minden front gate if POV . CAP Vans can drive in to bldg 162. 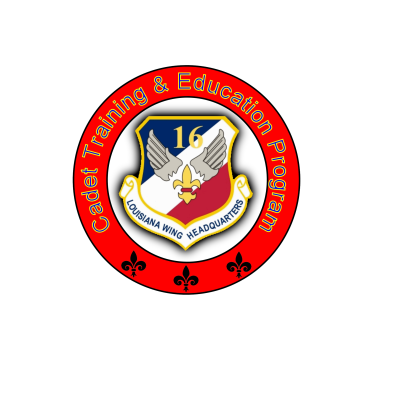 NOTE: Cadet Cadre (Staff) will have two and a half days of leadership training and prep before the 1st year cadets and Advance Flight cadets arrive on the June 15th.